In March, 2010, THP introduced its readers to a new golf apparel line from a company that many didn’t associate with the sport. Like many, I was very familiar with the FILA brand, but I wasn’t aware that they were involved in the golf world. I liked what I saw, but I didn’t end up purchasing anything from the line. Fast forward nine months and THP has asked me to review a couple items from FILA. Believe me when I say that my ambivalence was seriously misguided. I found the pieces that I received to be top of the line and they have convinced me to start looking at this company a bit closer. I received two items that can be worn together or separately. One of them was featured in the spring 2010 review, so we will only cover it briefly. The other is perfect for the cooler weather that is coming for many of our readers. 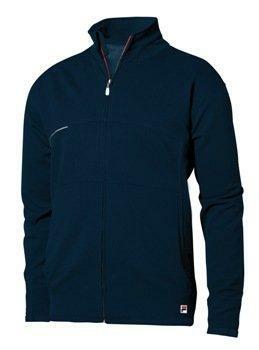 This is a medium weight jacket that is incredibly stylish, but functional at the same time. 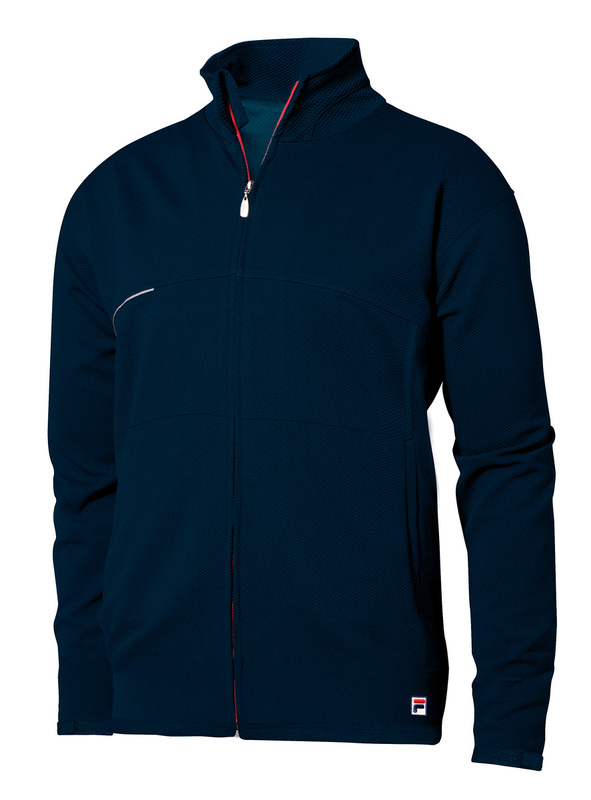 According to FILA’s website, The St Anton is a “Full zip 3 season jacket, long sleeves with Velcro closure, hidden contrasting zipper, front side pockets, curved sports hem, and 3M reflective insert on front and back yoke.” The body is constructed of 95% Polyester and 5% Spandex and the lining is 100% Polyester Mesh. It comes in three colors: Black, Silver, and Navy. I love the attention to detail on the St Anton jacket. The zipper has smooth metal pull tabs and is double sided, so it opens from both the top and the bottom. The only downside to this, and to the whole jacket for that matter, is that it can be difficult to get the two sliders lined up perfectly. Thankfully, it only took me a couple tries to get the hang of it. The two front pockets zip shut and are plenty big enough to hold a pair of gloves, some golf balls, and a GPS unit. There are two reflective strips, one each on both the front and the back, that break up the solid color that makes up most of the jacket. They could also come in handy if you planned on wearing this out for an evening jog. When FILA mentions a “curved sports hem”, I assume that they are talking about the back of the jacket, which comes down a bit lower than the front. This is great for keeping the lower back covered up during activities that require a lot of movement. As a Midwesterner, I found the St Anton to be warm enough for use in temperatures into the high 30’s. It’s lightweight, but seems to be substantial enough to hold in body heat on cooler days. These results may vary, depending on the individual user’s interpretation of “cold”. The bottom line is that I absolutely love this jacket. It fits true to size, with a slightly athletic fit. I’m on the larger side of large and it fit perfectly. As I mentioned earlier, THP reviewed this shirt in March 2010. However, I had to add a few of my own comments. Until you feel the material of this shirt, it is impossible to appreciate it fully. It is simply one of the softest, most comfortable golf shirts that I’ve ever worn. In addition to that, it is moisture wicking and anti-bacterial, which should help to inhibit those unpleasant 19th hole body odors. Again, the attention to detail is awesome and FILA does a good job of being fashionable without being obtrusive. I found the fit to be slightly athletic, but true to size. Again, a size large fit my 200 pound frame very nicely. If you would like to learn more, check out the company’s website at www.filagolf.com. I know there are a ton of choices when it comes to golf apparel, but when you are looking for your next addition to the closet, do yourself a favor and check out the latest offerings from FILA Golf. I’m betting that you come away wishing you had found them earlier. way to get your feet wet hawk! good stuff dude. i could hear you describing these items to me over a beverage at the ibar, i liked it. Awesome review man! I’m been a big fan of FILA since the early 90’s and its great to see them coming out with some really nice golf stuff! Great review Ryan. I love that shirt you got to try. The Fila line, especially the tops have been absolutely great. Thanks for the info. I will have to check that Fila web site out for my next golf shirt. Good review! Nice review Ryan, that was very informative. I had no idea Fila had a golf line. I’ll keep an eye out for their stuff. Nice write up Ryan H. That shirt is one nice looking piece. Great read Hawk. Sounds like Fila is bringing it with some great new item’s for golf. I’ll be checking out their line, thanks. Nice review, gonna keep an eye out for FILA from now on. great job Hawk!! I am loving that jacket!! Nicely done there Hawk! That jacket just might be the thing to get for the cooler day up North here! Great review Ryan!! I LOVE the ladies FILA golf apparel as well. The ladies apparel is very nice looking a well. Fila sponsors LPGA golfer Stacy Lewis. I recognized her in the pictures you posted last week, GolferGal. Great review!! I recall an old buddy with Fila clubs about ten years ago. Thought they vanished. Good to hear they are still around and making great products. I need to get one of those jackets. FILA is fantastic. I think we are going to see a lot more men and women sporting FILA on the golf course. We’re one of the few retailers offering the entire mens collections. 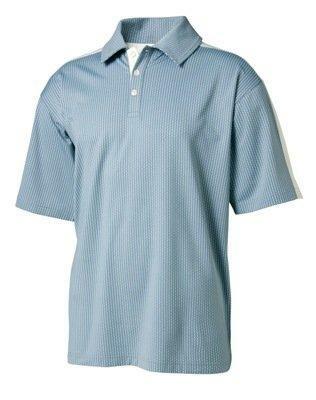 You can check it out here … http://www.golf4her.com/Golf4Him-Gift-s/1469.htm.